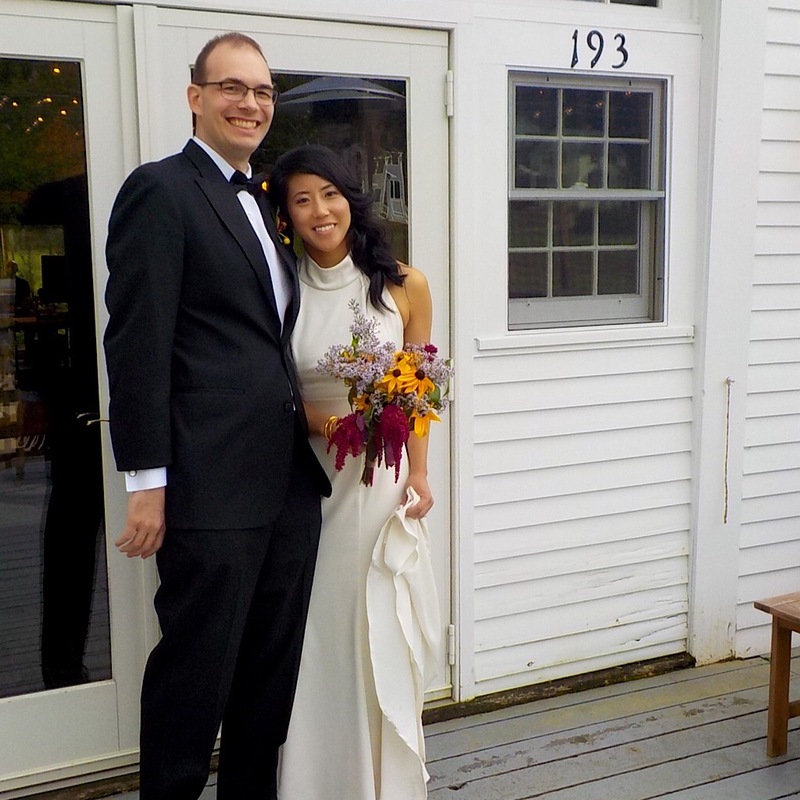 Stephanie and Tom found us on Google and realized our Justice of the Peace Mike Cherim would be a perfect choice for their wedding service at the Thompson House Eatery (T.H.E.) in Jackson, NH. 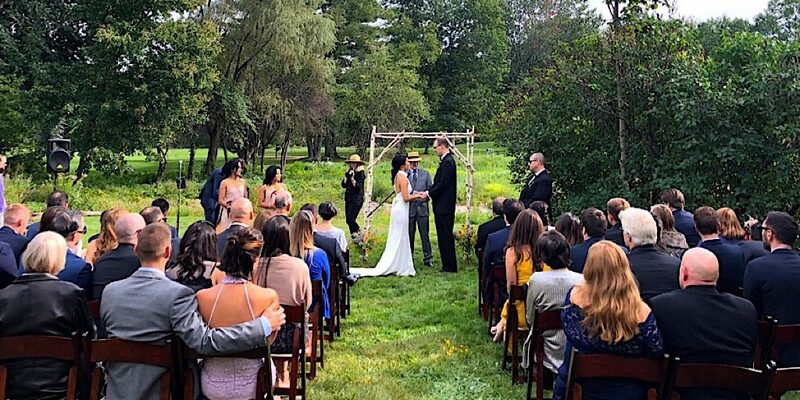 Not because Mike officiates mountain-top and wilderness weddings — which clearly this venue doesn’t qualify — but because hiking is a significant part of their lives and Mike is an avid hiker. 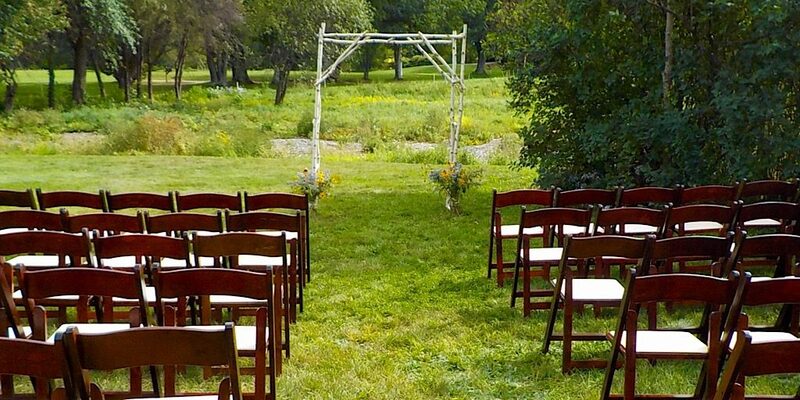 Not only would Mike get them both, he would completely understand and appreciate their love of the White Mountain National Forest, the Mt Washington Valley, and the alluring peaks that dot the area. 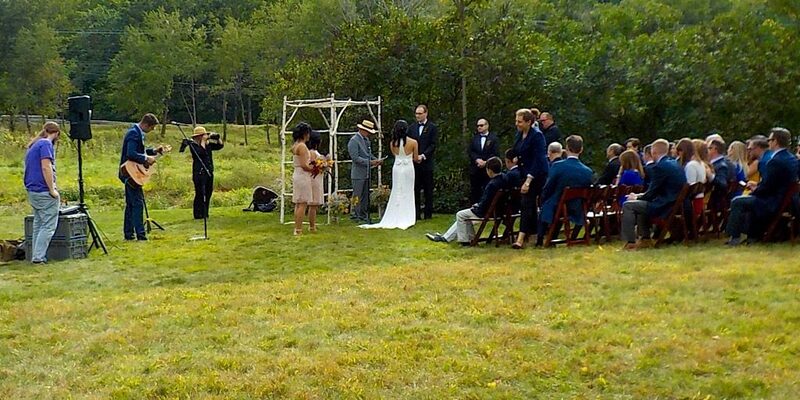 The couple hoped that for at least a few days those closest to them would get a glimpse into their lives as hikers. To see up close those things they hold so dear. The sights, the sounds, even the smells. And more, the area’s food and drink has great appeal, starting right there at T.H.E., and they wanted to share this as well. We certainly get it. And that, we suppose, is the point. 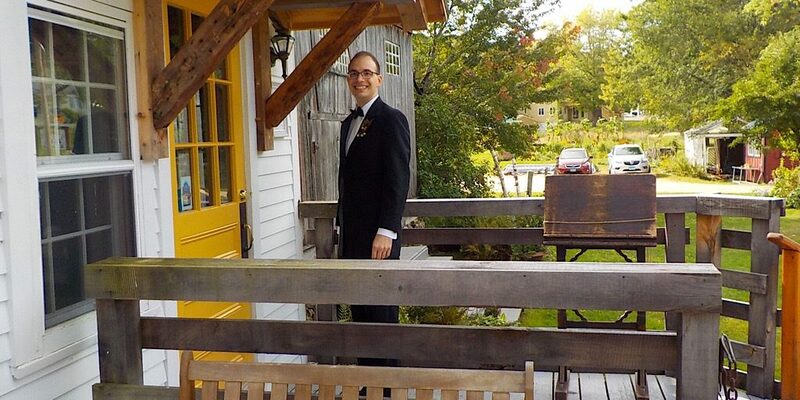 The groom is cool, calm, and collected. Looking good, Tom. A beautiful location courtesy of the Thompson House Eatery in Jackson, NH. The stunning bride and groom. Thank you. 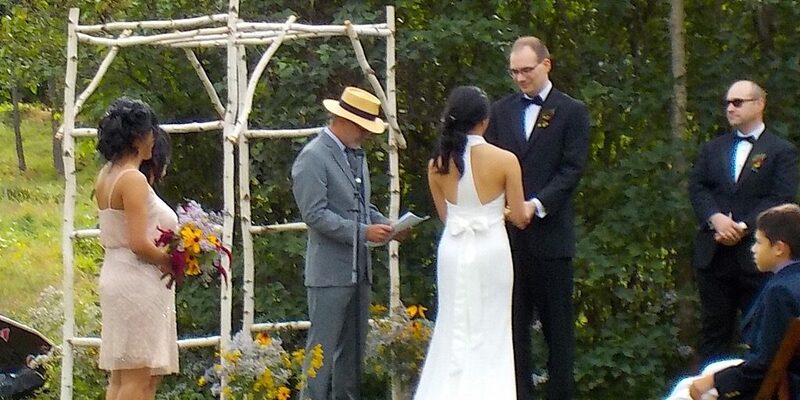 The ceremony — written by the bride and groom — was lovely. Photo courtesy of T.H.E. JP Mike doing his thing. And proof here that he owns more than one suit. Photo courtesy of T.H.E. Professional shot courtesy of Russel Caron Wedding Photography. Thank you. 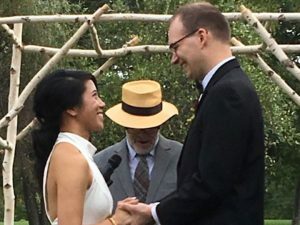 Congratulations Stephanie and Tom, and may the joy of a life with many peaks be yours.